Despite its significant growth over the past five years, the mobile and social videogame industry is still maturing at a rapid rate. Due to various storage and visual and sound asset restrictions, mobile and social gaming must have innovative storytelling techniques. 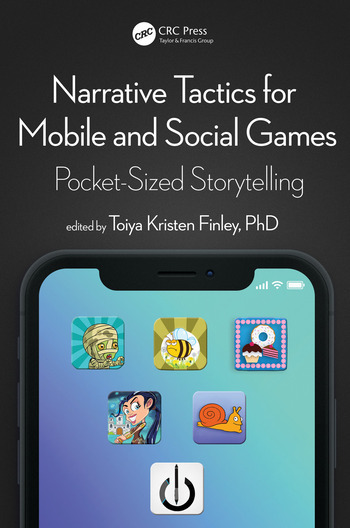 Narrative Tactics grants readers practical advice for improving narrative design and game writing for mobile and social games, and helps them rise to the challenge of mobile game storytelling. The first half of the book covers general storytelling techniques, including worldbuilding, character design, dialogue, and quests. In the second half, leading experts in the field explore various genres and types of mobile and social games, including educational games, licensed IP, games for specific demographics, branding games, and free to play (F2P). 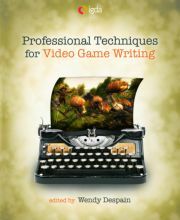 The only book dedicated to narrative design and game writing in social and mobile games, an explosive market overtaking the console gaming market. Provides tips for narrative design and writing tailored specifically for mobile and social game markets. 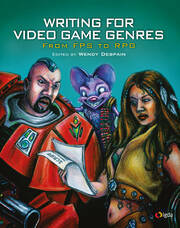 Guides readers along with conclusions that include questions to help the reader in narrative design and/or writing. Explores real games to illustrate theory and best practices with analyses of game case studies per chapter, covering indie, social/mobile, and AAA games. Includes checklists to help readers critique their own narrative design/writing. Preface. Section 1. Keeping the Player at the Heart of the Story. Worldbuilding. Characters. Dialogue. Missions/Quests. Story for Non-Story-Oriented Games. Section 2. Games for Specific Demographics. Educational and Serious Games. Branding Games. Licensed IP. Mobile Games as Transmedia. Glossary. Appendices. Index. Nashville native Toiya Kristen Finley is a writer and editor. She holds a Ph.D. in literature and creative writing from Binghamton University. With nearly 70 published works of fiction, nonfiction, comics/manga, and games, she has over 20 years of experience writing in a range of genres, tones, styles, and voices. She gained editorial experience interning at Henry Holt’s imprint, Owl Books. At Binghamton, she founded the literary journal Harpur Palate and served as its managing/fiction editor. In 2011, she co-founded the Game Writing Tutorial at GDC Online with Tobias Heussner and served as an instructor in 2011 and 2012. In videogames, she has worked as a game designer, narrative designer, game writer, and editor (or some combination of the four) on several indie, social, and mobile games for children and general audiences, including Academagia: The Making of Mages, Fat Chicken, Peregrin, and Verdant Skies. She is a member of the IGDA Game Writing Special Interest Group’s Executive Board. 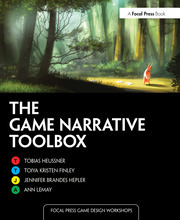 The Game Narrative Toolbox (CRC Press), a book on narrative design she co-authored with Jennifer Brandes Hepler, Ann Lemay, and Tobias Heussner, was published in 2015.